The man who revolutionized the field guide to birds now brings his formidable skills of identification and illustration to the more than six hundred tree species of North America. Similar in size and format to The Sibley Guide to Birds, the layout for this guide is another triumph of logic and concision. Species are arranged taxonomically, not by features such as leaf shape (as in most other guides), which will enable the user to browse the images to find a match for an observed tree in the same way a birder uses the bird guide. And all pages will follow the same format, allowing the user to pinpoint particular information with ease. David Sibley’s meticulous, exquisitely detailed paintings illustrate the cycles of annual and lifetime development, and reveal even the very subtle similarities and distinctions between like elements of different species: bark, leaves, needles, cones, flowers, fruit, twigs, and silhouettes. More than four hundred maps show the complete range, both natural and cultivated, for nearly all the species. Issues of conservation, preservation, and environmental health are addressed in authoritative essays. 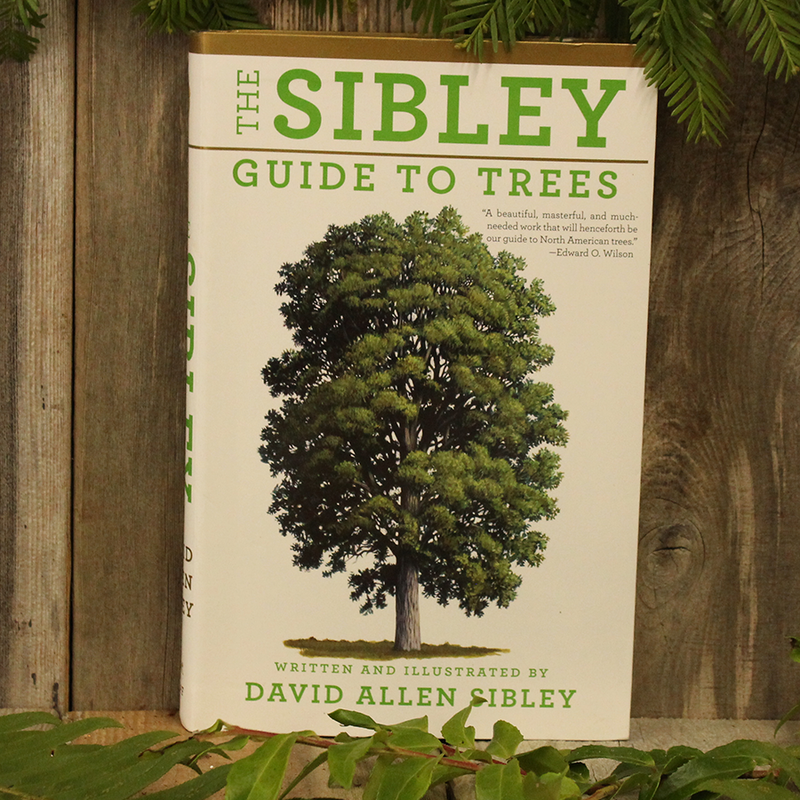 As innovative, comprehensive, and indispensable as The Sibley Guide to Birds, this new book will set the standard of excellence in field guides to trees.